Stephen J. Walker was born and raised in Kansas City, Missouri. From the time he was born until His Freshman year of High School He attend Faith Academy which is formally known as Harvest Christian Schools. During his time there He was trained to excel and lead in every area of his life. The educational and spiritual knowledge I received from Faith Academy is not only valuable to me, but to my family and the people I currently lead daily. After attending High School, I went on to attend Rhema Bible Training College in Broken Arrow, Oklahoma. 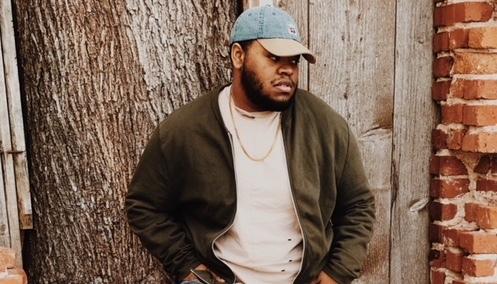 I am currently a Senior at Oklahoma Wesleyan University where I am studying Marketing Management. Not only am I a student, but I have been blessed enough to become the worship leader of Rhema Bible Church’s young adult ministry. Faith Academy has taught me how to impact the live of the people around me in a positive way. I consider Faith Academy to be a one of the leading educational institutions in the country and I am thankful to be a part of their legacy! 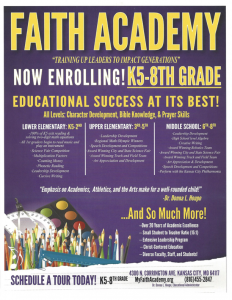 Faith Academy is a Christ-Centered School whose mission to providing an excellent and superior education that will impact their future. Copyright © 2019 Faith Academy. All Rights Reserved.